…it takes a l-oooooooooo-ng time for this ol’ Scots Jurassic to adapt to new things… I didn’t start wearing long trousers until I was about 15 years old… when I acquire a new cellphone (I believe they’re called ‘mobile phones’ now), it takes an absolute age for me to understand what WURKS differently from the old one… and as for calculators, to this day, I still eschew them in favour of using my mental arithmetic skills, honed at the desks of great Scottish primary school teachers… and I recall when I moved to Hong Kong as a fully-fledged Master of the Financial Universe in 1980, it was all of six months before I dared attempt to eat the local Chinese food (which, of course, is excellent fare, by the way)… little wonder then, that as an Author of some ten years standing now, it has taken until now to embrace the non-written version of my books… namely, Audio Books… it had been suggested several times as I created my Jack Calder crime thriller series, that the stories lent themselves easily to voice, but I resisted, more because, as with many things, I didn’t quite know where to start… comes now the magnificent Master Chris C. Hogan… he of the gravel-coated tonsils, with perfect cadence and pace… and voila, presto hey! 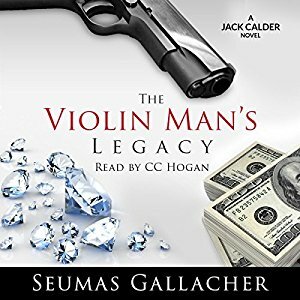 a whole new dimension to my literary toils was born… THE VIOLIN MAN’S LEGACY, my initial tome in the series, is now live on Audible/Amazon… given the darker inflections in parts of my novels, Master Hogan’s (not-so) dulcets fit admirably into the narrative… so much so, I reckon that his voice and timbre are now integral parts of the book itself… I would invite any of yeez with a yen for Audio to have a listen, and let us know what yeez think, before we consider plunging throat-long into the ensuing titles… the links are here… see yeez later… LUV YEEZ! Well done on taking the next step! Very nice, Seumas, and, as you say the voice is well suited to the story. 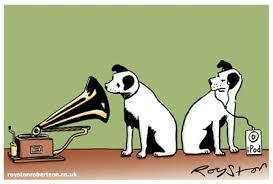 I listened to the sample, but it will take me a while to switch to audio books I think. Check out this post as Author Seumas Gallacher ventures into the modern world with his audio book. Details are in this post from his blog. Congrats on the audio book, Seumas. Best of luck with it. I’m not big on changes, either, but once I accept it, I dive right in. It sounds like you did just that. Congratulations on the audio book, Seumas!